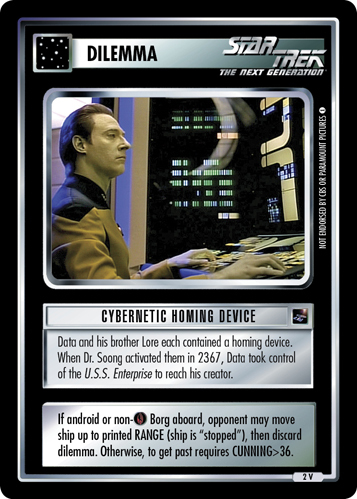 Data and his brother Lore each contained a homing device. 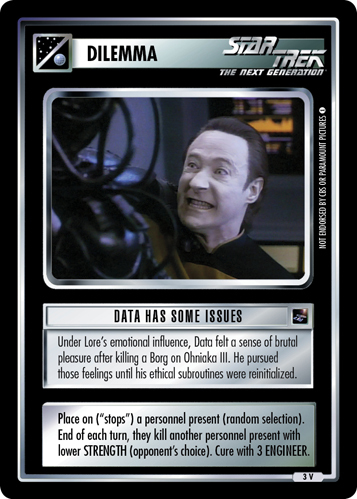 When Dr. Soong activated them in 2367, Data took control of the U.S.S. Enterprise to reach his creator. 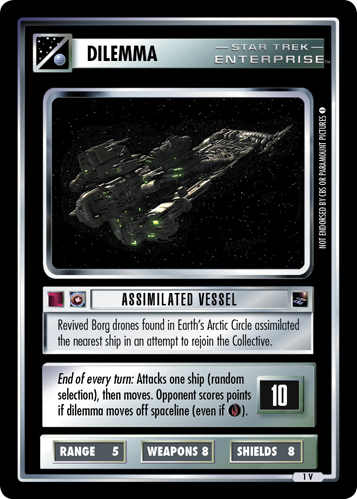 If android or non- Borg aboard, opponent may move ship up to printed RANGE (ship is "stopped"), then discard dilemma. Otherwise, to get past requires CUNNING>36.